Chickens remind me of my grandmother… She had laying chickens and eatin’ chickens, but she also had Bantams. The flock would follow her around as she went about her day. These pix are from this year. Charlie and his hens made the eggs from which popped the tiny yellow chicks. Charlie’s hens didn’t want to sit on the eggs so we plucked them out and put them under that black hen who sat on them for 21 days and now thinks they are (as they ARE except genetically) hers…. Good lookin’ chickens, Susan! We have yet to let a hen sit eggs, but may do that next spring. 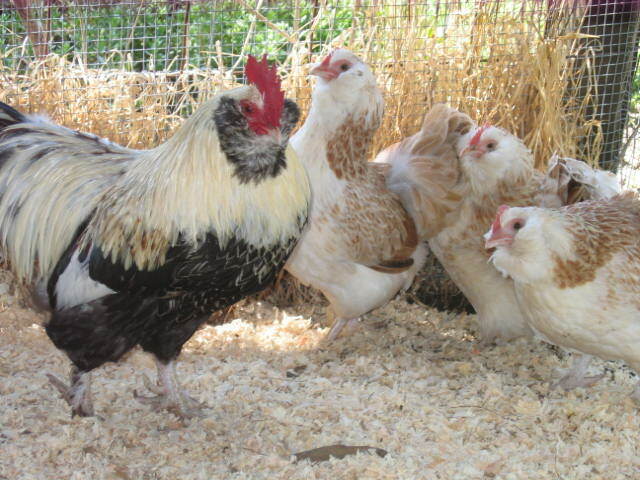 Do you have to keep the hen and chicks separate from the other chickens? Katy, it’s probably a good idea because if you don’t other hens are likely to keep laying more eggs under your broody girl until she actually can have too many under her to keep them all warm…..In my situation where I have multiple breeds of chickens and too many roosters, I have to separate the hens I want to breed from the rest of the flock for three weeks (to give any residual sperm time to lose its efficacy), then let the chosen rooster in with them until I have the desired number of eggs, and then either let one of those hens set the eggs (if one has gone broody) or find another hen to put on top of them. If I remember correctly, you are only raising one breed of chickens and probably only have one roo, so your management should be significantly simpler…. (for example, no need to separate them for those three weeks)…. Thanks, Susan. By now, we’ve got at least three breeds (Silver laced Wyandottes, Rhode Island Reds, some Easter Eggers, and a few Barred Rocks, I think). 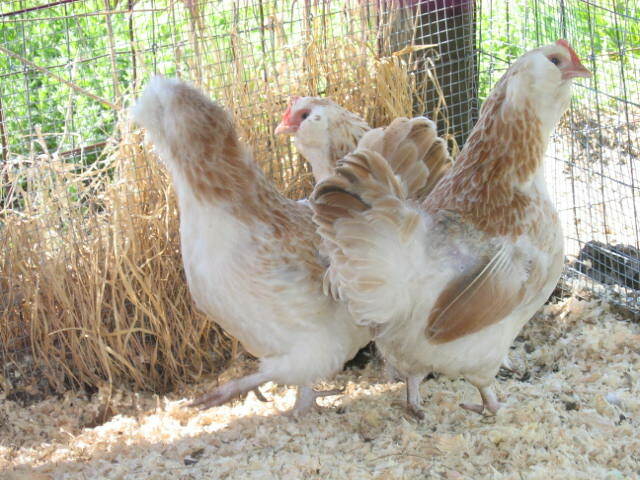 And two Roos, a Wyandotte and a Red, who get along amazingly well. I’ll make sure Ken reads this post. 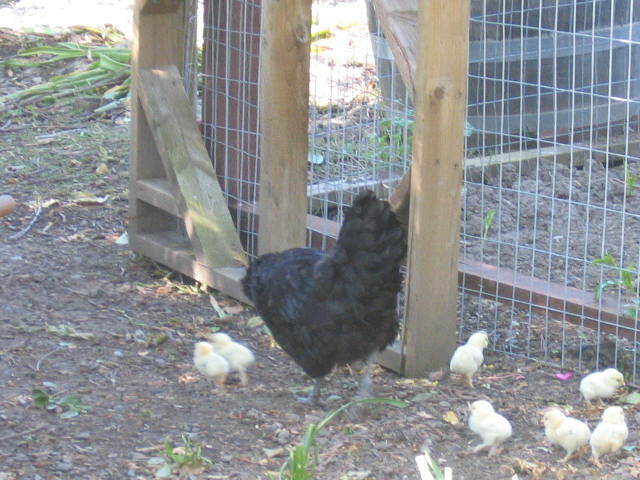 We have at least one broody Wyandotte hen. We like the Reds, and I like the Easter Eggers. They are very hardy and eggs have nice, hard shells, too. Probably try for some more Reds. Or maybe just let a hen sit what’s she got and see what hatches! Katy, unless you need to know that the babies are a particular breed, I’d just let them do their own thing. 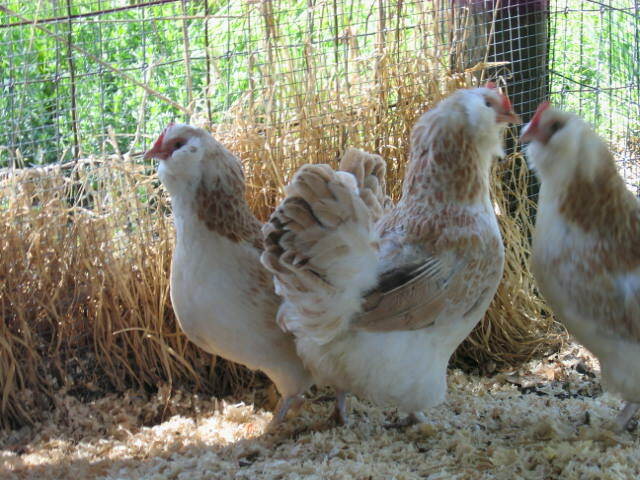 If you are looking for more pure SLW’s or more pure RR’s, then you need to separate the hens for 3-4 weeks so that the sperm from an unselected roo doesn’t fertilize the eggs. 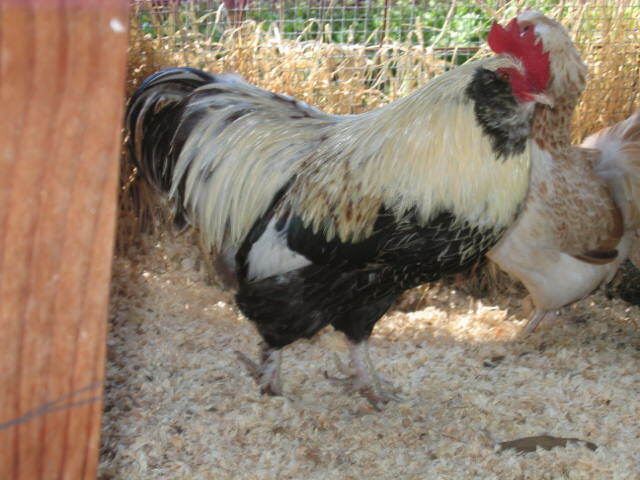 After 3-4 weeks, you introduce the roo you want to mate with those hens. I don’t know what color eggs the SLW’s lay, but you might get some interesting colored eggs if you cross your RIR roo with an Easter Egger….Some people try to breed for what they call “olive eggers”, and that brown RR egg gene mixed with the blue Ameraucana egg gene just might do it…..Usually they use a breed that lays a darker brown egg (Cuckoo Marans for example), but the Rhode Island Red might do a similar thing….